If you have an itchy scalp or flakes in your hair you are suffering from dandruff. White flakes dotting our hair and shoulders, a possibly itchy, scaly scalp. It becomes worse during fall and winter due to dry skin. 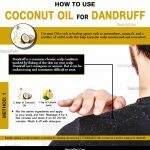 Dandruff is usually because of too much oil. 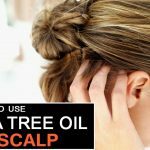 It’s usually due to an overgrowth of harmless yeast which starts to feed on the excess oil and dead skin cells on the scalp. This creates a vicious cycle causing the skin cells to shed more frequently and clump into flakes. There are a number of anti dandruff shampoos available but you can always use aloe vera for a natural remedy. 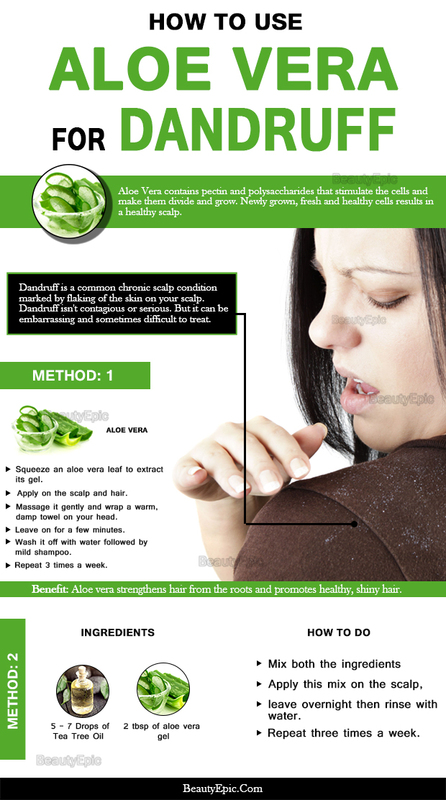 Let us read to know how to apply aloe vera for dandruff. 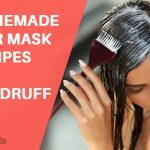 Does Aloe Vera Help In Removing Dandruff? It is known that dandruff cannot be totally eradicated. There are chemical products available in the market but one would always prefer a natural way out using a plant product to fight this menace. However, one must always keep in mind that if the problem persistent, consult a dermatologist. Aloe Vera is a natural way to strengthen hair from the roots and helps in promoting shiny, healthy hair. Pectin and polysaccharides in the plant stimulate the cells to grow. It soothes beautifully and softens the dry scalp to removes dead skin cells. Cleanses the scalp of bacteria and other fatty deposits. It reduces hair loss by promoting the capillary nutrition and regeneration to help recover the hair. Glycoproteins help in reducing inflammation and soothe the scalp. It can protect you against yeast and fungus that cause dandruff because if its antifungal properties. Aloe vera is one of the best methods for combating dandruff. 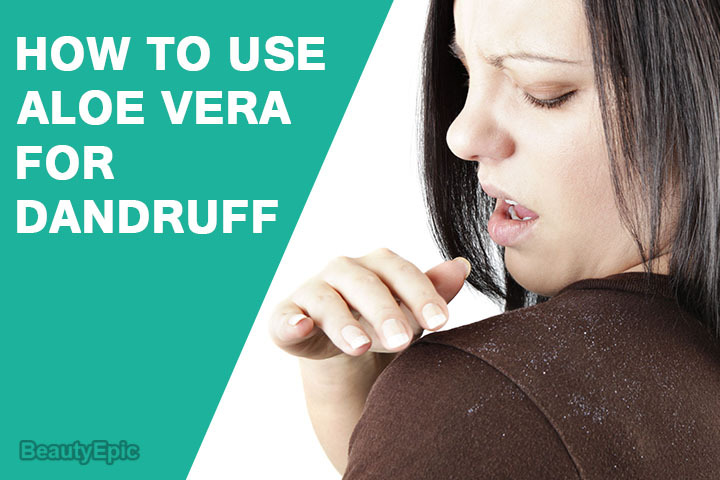 Dandruff is a persistent fungal infection. Using aloe vera does not have any lasting side effect on the scalp. This is the easiest method of removing dandruff using aloe vera. Take an aloe vera leaf and squeeze out its gel. Massage it gently on the scalp and hair. Then wrap your head with a warm and damp towel. After a couple of minutes, wash your hair with a mild shampoo. Repetitions: Repeat the same procedure 3 times a week. Both aloe vera and eucalyptus have medicinal properties that help to cleanse your hair. Take few drops each of aloe vera gel and eucalyptus oil and mix them thoroughly. Gently massage this paste on the scalp. Rinse off the paste with water after couple of hours. Repetitions: Repeat regularly for best results. Lemon is effective in removing the dandruff and keeping the scalp clean because of its acidic nature and antimicrobial properties. Squeeze half lemon and then mix it with one third cup of aloe vera gel or juice. Gently massage this mixture on the scalp. Leave for thirty minutes and then wash your hair. Note: you can add a little yogurt and olive oil if you feel your scalp stinging. Do not apply this mixture on wounds. Neem, an anti-bacterial and anti-fungal agent which can successfully sooth an irritated scalp as well as get rid of dandruff. Blending aloe vera gel with neem oil is beneficial in multiple ways such as preventing growth of fungus, promoting hair growth, making the hair strong from the roots, removing dandruff, etc. Make a mixture of ten to twelve drops of neem oil with two to three teaspoons of aloe vera gel. Coat your scalp with this mixture. Gently massage it and leave it overnight. Thoroughly wash your hair the next morning with a mild shampoo. Repetitions: Repeat this procedure twice weekly. Even when you are handling the products of nature you need to handle them carefully and follow certain precautionary measures. Ensure that you are always using fresh aloe vera gel else it tends to cause irritation in your scalp. In some people aloe vera causes skin irritation. If such is your case, do not use aloe vera. If you are allergic to plants then do not use aloe vera.